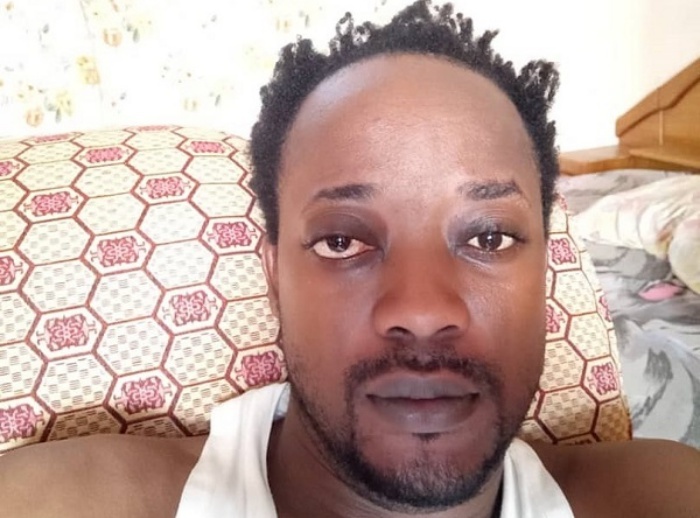 Highlife artiste Anokye Supremo is suffering from a tumor in his head that has blurred his vision. According to the Daddy Lumba look-alike, he cannot see with his left eye. He told citinewsroom.com in an interview that the whole thing started about a month ago when he experienced severe headache. “It started in October and I thought it was migraine. I went to the hospital and was told I had a tumor in my head which has caused an enlargement in my left eye,” he said. At the moment, he is going for an MRI test but according to him, he has been told by his doctors it will take him about Ghs 10, 000 to have a surgery done on the tumour. He noted that for the past three weeks he has always been indoors. He was given some painkillers but would not even salve the pain. “I can’t see with my left eye. It is gradually bulging out of the eye socket. I am really suffering. For about 3 weeks now, I have been indoors,” he said. Anokye Supremo (formerly known as DL Junior) was discovered in 2010 in ‘Just Like You’, a reality TV show which gave artistes the platform to mimic their favourite celebrities. DL Junior, on that show imitated Daddy Lumba. After the show, Anokye who has similar looks as Daddy Lumba has been plying his trade as a musician. He had to change his name from DL Junior to Anokye Supremo after he was sued earlier this year by highlife artiste Daddy Lumba, ordering him to stop using his name and stop singing his songs at programmes. DL Junior is known for his songs Befa Me, Efri Nea Efire and Hye Wo Ho Den, Krom Aye De, and Hash Wuish.